Are you looking for a fun and informative early years education show? We host the best childcare exhibitions in the country. 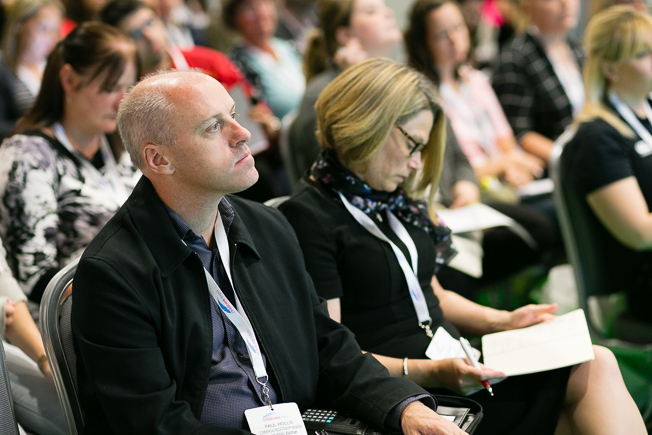 Our shows are filled with workshops, seminars and talks from some of the most renowned early years experts in the business, not to mention unmissable discounts on childcare products. The childcare sector is constantly evolving with regards to teaching methods and new research. This is why, every year, we bring you an exhibition that showcases this information. At Childcare Expo, we like to share the latest resources and methods of providing childcare. Each show is filled with new teaching techniques aimed to help children reach their full potential in their mental and educational development. We understand the issues and areas that you, as a childcare professional, are interested in. This is why we have set up an exhibition that discusses everything from early years policies to free/low-cost learning exercises. Our classes are filled with inspiring ideas for learning through play and outdoor activities that you can take back and adapt to your own classroom. From start to finish, Childcare Expo will be packed with informative seminars and workshops for you to choose from. Each session covers a certain topic, teaching method, or new product that we think childcare professionals need to know about. For each class you complete, we will send you a certificate as proof that you are now fully-versed in that new topic. At the new product stalls, you will be introduced to thousands of exciting products that will bring a whole new dimension to your classroom. Visitors are welcome to try out these new resources for themselves before buying, and you will also receive exclusive discounts. Get special tips and advice directly from the suppliers and be the first to find out what other products they may have coming soon. Take a look at our website to see what we have planned at our education shows for early years so you don’t miss out on the best events. Why come to our education shows? When you attend our early years education show, you will come away with new and innovative ways to improve the success of your childcare business. The seminars and hands-on workshops cover a range of topics from phonics to learning through the arts. Each show is hosted by professionals in the industry, such as psychologists, educational consultants and early years advisors. Most people buy their childcare products and resources online or from a catalogue but, at Childcare Expo, you get to see the merchandise for yourself. We have thousands of suppliers who will be showing some of the latest educational products and services to inspire you and your colleagues. Previous exhibitors have included stationery suppliers, book companies, and educational organisations. At Childcare Expo, you get the opportunity to network with other childcare professionals and exhibitors who may be presenting on the day. These industry experts will be able to offer advice and information that you can apply to your own learning environment. Our education show for early years offers a relaxed and friendly networking environment where you can make new contacts that you may not meet at other events. Childcare Expo is one of the biggest events in the early years calendar, and we always welcome those who wish to take part in this annual childcare education show. If you have something you would like to showcase to the country’s childcare professionals, enter your details on our contact form and we will contact you directly. Pencil the date in your diary and click here to register for free tickets to the most popular early years education show. To find out more about Childcare Expo, call us on 01425 838393, or send an email to [email protected].